LED Motion Sensor Guide Light $5.99 Each Or $10/2 Plus FREE Shipping! You are here: Home / Great Deals / LED Motion Sensor Guide Light $5.99 Each Or $10/2 Plus FREE Shipping! These lights will save your toes at night and guide you safely where you need to be! 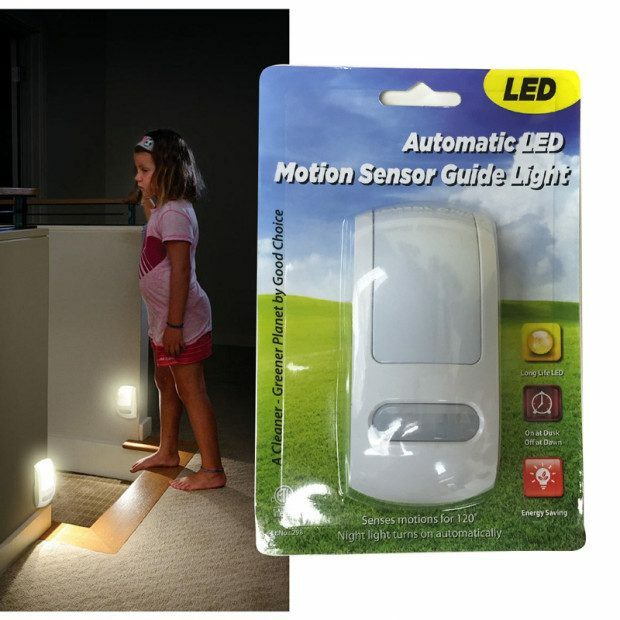 Get the LED Motion Sensor Guide Light $5.99 Each Or $10/2 Plus FREE Shipping! This motion sensor nightlight will turn itself on when it senses motion and will turn off shortly after the motion stops. It also has a dusk till dawn feature! The degree and range of motion will pick up the movement of any family member!